Valente Law provides business lawyer services to clients in Cleveland, Akron, Canton, Medina and all surrounding areas. As corporate counsel and a business law firm, we assist business owners and corporate executives in all aspects and stages of their businesses in Cuyahoga County, Summit County and the surrounding northeast Ohio area. We accept work for clients as a LLC lawyer, corporate lawyer, and general corporate counsel. As your business lawyer, we provide corporate counsel to entrepreneurs and start-up companies and assist in corporate formation. This includes the preparation of articles of organization for limited liability companies, articles or incorporation for corporations, and bylaws, operating agreements, corporate resolutions, stock certificates, unit certificates and all other corporate documentation required to start a company. Additionally, we file trademarks and copyrights and work with trusted patent attorneys to ensure our business clients’ intellectual property is protected. We assist our clients in securing licenses for their specific industries so they are in compliance with the state or specific agencies. We provide business counseling services to existing businesses for general operations and transactions. This commonly includes assisting business owners and executives during annual meetings and coordinate with their accountants to ensure their taxes are done properly. We draft and negotiate contracts and transactions so that our business owner clients get the best deals possible. Additionally, we draft employment agreements, non-compete agreements, and non-disclosure agreements to ensure they are protected. If needed, we do corporate collections for our clients so they get on their accounts receivable. We can sit on the Board of Directors for our clients’ companies and, if the business owner client wishes, we can be hands-on and very involved in the day-to-day management of our clients’ businesses as corporate counsel. For most business owners, selling their business is one of the most important financial decisions of their life, and we are here to help. We assist businesses as they prepare to sell their business and offer succession planning, exit planning and work with trusted business brokers to ensure our clients can sell their business when they want and get the most money possible when they sell. This includes drafting buy-sell agreements, stock transfer restriction agreements, term sheets, asset purchase agreements and all other documents that are needed to get a business ready for sale and to effectuate the sale. On this page you’ll find our main summary of business topics regarding starting a business, business management, business operations, business succession and exit planning for your business. You’ll find related articles on business start up, management, and succession on our Estate Planning, Probate and Business Law Blog. Business startup, planning, and succession are a few of Valente Law’s main focuses. Valente Law’s founding member, Eric Valente, is a business lawyer in the Cleveland and Akron areas of Ohio. We work with business planning clients all over the greater Cleveland, Ohio and Akron, Ohio area. If you have questions about this information, please contact us! The best business planning includes startup planning for maximum asset protection and minimizing taxes. Business planning also includes strategizing for how to manage and operate your business to maximize efficiency and profit. Good business planning allows you to operate your business efficiently and profitably, and plan ahead for how to exit your business when you choose to, on your own terms. If you are a business owner, good business planning should include consulting with an experienced business lawyer to plan for the management or sale of your business upon your incapacity or death. Business planning includes planning to minimize income taxes, legal and administrative costs, accounting fees and other costs and expenses. Our business planning also focuses on the protection of your personal assets and your family. Asset protection and business succession planning include protecting your business, your key employees, as well as your spouse, children and other loved ones if you become disabled, or you pass away. An experienced business lawyer is invaluable in this process. Good business planning includes asset protection planning. Asset protection planning includes proper choice of entity when starting up the business. Planning to protect assets also includes ongoing management of your business to shield your personal assets from business liabilities. Asset protection is particularly critical for business owners with businesses that have a tendency to bring litigation and lawsuits, including builders, contractors, and attorneys. All business owners should use thorough asset protection to protect at their wealth, the future of their business, and the well-being of their families. Business planning also includes risk management and tax management to maximize profits and business longevity. Planning your business well also simplifies and reduces a lot of the stress involved in handling the technical and legal requirements of running a business. Business planning with Wills and Trusts includes planning for convenience, flexibility, and additional control over your life and wealth and other benefits. Also, estate planning will result in additional flexibility in future unknown situations. Good business planning allows you to exert more control over yourself and your wealth. There are many things to consider in the business planning process. Here is a list of some of the most important business planning considerations. Starting up a business to plan for success involves many critical issues. A critical consideration in business planning is choice of entity: should you operate as a sole proprietor, a partnership, a corporation – S or C corporation – or an LLC? Tax planning is critical to the ongoing success of a business, and in addition to the many tax issues to consider, the various types of entities also have different requirements for corporate management and government reports or filings. They also offer varying levels of asset protection for the personal assets of the business owner. The proper choice of entity can minimize risk as well as taxes, and provide for efficient ongoing management. Here is more information on Starting Up A Business from the Ohio Secretary Of State. Another major consideration in business law is protection of the owners’ personal assets from creditors of the business. Good business planning can help avoid unnecessary risk and liabilities, protecting the owners and their families. With proper planning, an owner’s personal assets – home, investment accounts, etc. – can be protected, even if the business faces a large lawsuit or becomes excessively leveraged. Utilizing an experienced business lawyer is critical when doing this type of planning. Always include an experienced business lawyer in your asset protection planning process. Another important factor in business planning is maximizing efficiency of ongoing management and operations. Good planning can streamline the requirements for managing and reporting for the business, taking a load off of the owners and managers and allowing them to spend more time and energy generating profit. Also, proper maintenance of the “corporate formalities” of a corporation, for example, reduce or eliminate the risk of a creditor piercing the “corporate shield” of owners’ assets. The more thoroughly and efficiently these formalities are managed, the less risk the owners face in the case of a lawsuit or economic downturn. Efficient operations have a direct impact on a company’s bottom line, and working through HR issues and legal issues thoroughly and efficiently can take a great deal of pressure off of management and employees. Here is more information about Business Management and Operations. Succession Planning is proactively developing a business plan that prepares a business owner and the business for the owner’s exit, when and how the owner chooses. A big part of succession planning is the process for identifying and developing internal personnel with the potential to fill key business leadership positions in the company. The Succession Plan is a living document that may change over time, and needs to be reviewed and updated regularly. Here is more information about Exit Planning and Selling Your Business. Selling and exiting your business can be an exciting, and perhaps overwhelming event. In fact, it may be the biggest business decision that a business owner will ever make, and it also affects the business owner’s entire family. Minimizing taxes, maximizing ROI, and providing for a seamless transition are among the many critical issues involved in exit planning. This phase of business planning almost invariably requires a team of experts in a variety of fields, in addition to the legal planning for sale or transfer. A form of business entity that operates as a separate, legal entity owned by shareholders and guided by a group of officers known as the board of directors. In general, a corporation is formed under state law by filing articles of incorporation with the Secretary of State. A form of business entity that operates as a separate, legal entity owned by “members” who may also be the managers of the LLC. LLCs are “pass through” entities, meaning that the profits and losses of the company pass through to the owners for purposes as taxation, so that the LLC itself is not taxed as a separate entity. Individuals, companies, or trusts that own one or more shares of a for-profit corporation. The shareholders own a specific number of shares, which they each purchased at a specific price. Also known as “stockholders”. A board of directors is a group of individuals who are elected by the shareholders as representatives of the shareholders in establishing corporate management-related policies and make decisions about major company issues. The structure and the powers of the board is determined by the corporation’s bylaws, including the number of directors, how and how often they are elected, and how often they meet. The executives of a corporation having certain operational responsibilities. Generally appointed by the board of directors, the officers typically include such offices as President, Vice-President, Treasurer, Secretary, and sometimes a Chief Executive Officer (CEO), Chief Financial Officer (CFO), and Chief Operating Officer (COO). Owners of a Limited Liability Company (LLC) are called Members. The Operating Agreement will identify who the members are. Members’ ownership interests are associated with various rights, such as the right to share in the profits and losses of the company, the right to receive distributions from the company and right to participate in the management of the company. These rights are defined in the company’s Operating Agreement. Also referred to as the “certificate of incorporation” or the corporate “charter”, this is a document that establishes the existence of a corporation, and is generally filed with the Secretary of State in the state where the business is formed. The Articles of Incorporation required by the Ohio Secretary Of State are somewhat basic, although a more detailed set of Articles may also be included in the corporation’s governing documents. Articles of Organization are a document similar to a corporation’s Articles of Incorporation, outlining the initial information required to form a limited liability company (LLC) in the state where it is formed. A Corporation’s Bylaws define the corporation’s purpose, how it will operate, and the duties and responsibilities of the shareholders who own it and the Officers and Directors who manage it. They also specify shareholder ownership rights, the procedures for selecting officers and directors, plan annual meetings, and establish how to remove officers or directors. An LLC’s Operating Agreement defines the LLC’s purpose, how it will operate, and the duties and responsibilities of the Members who own it and the Managers who manage it. They also specify Members’ ownership rights, the procedures for selecting managers, and establish the ownership and management succession of the company, and how to remove managers. Like corporate Bylaws, this document is critical for any business, and a business lawyer who understands the specific business should be utilized to draft it very carefully. Any other business entity that is not a trust or corporation and has not elected to be classified as a C corporation. Basically, a pass-through entity is a type of business structure that is used to reduce the effects of what is often called “double taxation”. Pass-through entities don’t pay income taxes at the corporate/company level. Instead, corporate/company income is allocated among the owners, and income taxes are only charged to the individual owners. A trade name must be “distinguishable upon the records” from all other business names that have been previously registered. So, as long as your preferred name is available, if you file a trade name, no other business entity can use that name. Ohio does not require “Fictitious Names” to be “distinguishable upon the records” from other previously registered names. But a fictitious name provides no protection because the other side of this rule is that other registered names are not required to be distinguishable from a fictitious name. Example: if “Donny’s Doughnuts” is registered as a fictitious name, another corporation would be permitted to register “Donny’s Doughnuts, Incorporated” because the names are not required to be distinguishable. Business entities in Ohio are not required to file an annual report, but some types of entities and registrations are required to file reports at different time intervals. For example, Professional Associations and Limited Liability Partnerships are required to file biennial reports, Nonprofit Corporations are required to file Certificates of Continued Existence, and fictitious names, trade names, and service marks or trademarks require periodic renewals. Valente Law, LLC can assist you in ensuring that all of these filing requirements are met for your particular business type, complying with the appropriate sections of the Ohio Revised Code for your entity or registration type. All business entities in Ohio are required to appoint and maintain what is called a “statutory agent”. A statutory agent is the person or entity that will receive all legal documents regarding the business entity and is also responsible for sharing this information with the business and its owners. Obviously, the statutory agent should be chosen carefully. In Ohio, the statutory agent may only be one of the following: (1) A natural person who is a resident of the State of Ohio; or (2) A recognized business type (corporation, limited liability company, partnership, limited partnership, limited partnership association, limited liability partnership, business trust, professional association, or unincorporated nonprofit association) that has a business address in this state. If the agent is a business entity, the agent must meet the requirements of Title XVII of the Ohio Revised Code to conduct business in Ohio. If a statutory agent dies or resigns or if the business chooses to change their statutory agent, the business must appoint a new one by filing Form 521 Statutory Agent Update (PDF) with the Ohio Secretary Of State. This form should also be used if the existing statutory agent changes his/her name or address. If a business fails to file this information, it may result in a cancellation of the business entity’s Articles or its license to conduct business in Ohio. A limited liability partnership is required to file Form 545 Amendment of Partnership Statement (PDF) to change its statutory agent. Consult with Valente Law, LLC to ensure the appropriate filings regarding statutory agents. For each form of business entity there are filing fees associated with the initial filings with the Secretary Of State in the state where the business is formed. The filing fees for starting up a business in the State of Ohio can be found here. Every business owner has the option of attempting to start up their business without any legal advice, just as anyone dealing with an illness has the option of dealing with their illness without professional help. It is obvious, in this day and age, that this is an unwise and extremely risky option, given all of the risks that any startup faces from day one. We believe that your best choice is to work with a skilled and experienced business lawyer from the start, to help ensure that all risks are being managed as much as possible from day one. 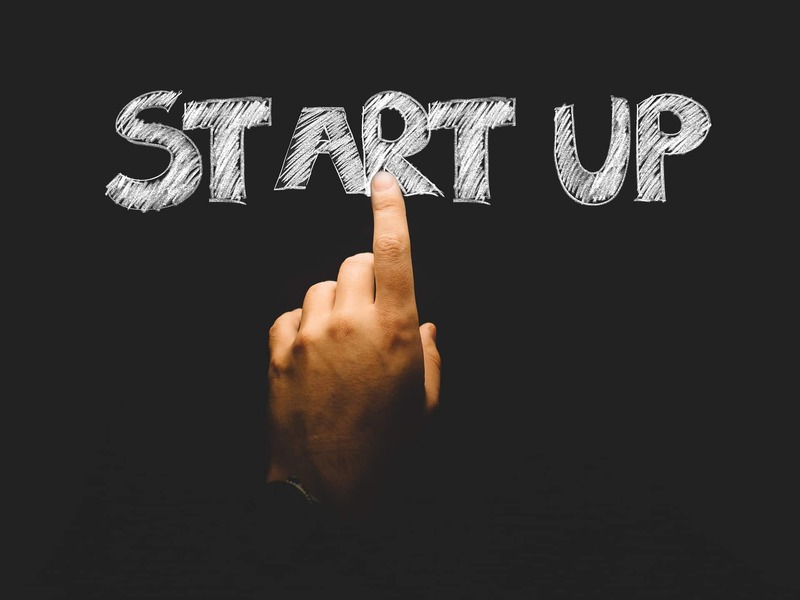 At Valente Law, LLC, we do everything possible to manage both the costs and the risks of every business startup, with years of experience and a caring approach to each business from the very beginning. Taxation of your business is a primary consideration in your early and ongoing business planning. We understand these issues, and work with every business client to manage them effectively. We also work with the best tax professionals available, as a team, to minimize taxes and maximize profits for our clients. These are the most common questions we hear from clients asking about business planning, and our answers. How Do I Get My New Business Started? First, take a moment to consider your business goals. The very next thing you should do is call us. There are a number of steps we will take to help you get your business started and help you throughout the entire process. By leaving the technical, legal work to us, you can focus on the more important things like developing your products and services, and strategic, financial, and market planning. Starting a business in Ohio, in the legal sense, can take place relatively quickly, but must be done correctly and meticulously. All technical legal details must be attended to, in order to maintain the legal shield afforded by establishing a business. Using an experienced business lawyer is the best and most efficient way to be sure that all matters are addressed properly. How do I Need To Prepare for the First Meeting To Startup My Business? To prepare for your first meeting with your business lawyer, simply do the following things: Bring a list of all of the people who intend to be owners of the business, as well as who you may want to serve as officers and directors or managers. Bring along any information about the business that you have already prepared, including address, contact information, business purpose, amount of initial startup capital, banking relationships, web site information, intention to use copyrights or trademarks, etc. If any action has been taken to get the business started, bring any documentation, such as leases, investments of startup capital, etc., to help your business lawyer get started efficiently and effectively. Top-notch, experienced business lawyers in Cuyahoga County and Summit County can be hard to find, and Valente Law will help make the business planning process stress-free and successful. An experienced business lawyer can be the difference between a great deal of unnecessary, inefficient time-wasting and an efficient and affordable process of business startup and ongoing operations. With many business clients in Cleveland, Akron, Medina and surrounding areas, Valente Law has the experience and skill you need. When you or someone you know is setting up a new business, working to grow their business, or hoping to sell their business, you need a business lawyer that you can trust to respect the business owner’s wishes and take care of their business and their family, and Valente Law provides effective, efficient and affordable business representation. Call Valente Law now to help you secure your business interests.